The goal of this study was to estimate the familial aggregation and quantify the contribution of genetic and environmental factors on physical activity (PA) habits of Portuguese families. The sample consisted of 2,375 nuclear families (parents and two offspring each) from different regions of Portugal with a total of 9,500 subjects. The assessment of PA was based on a psychometrically established questionnaire. This is a reliable and valid instrument to measure different PA indices (school/work, sport and leisure time). Familial aggregation was computed by factorial ANOVA. Familial correlations were calculated using FCOR in the SAGE software package. Heritability was estimated using variance-components methods implemented in the SOLAR software package. The main results are: (1) In all PA phenotypes, there was 1.34 to 1.99 times more variation in PA between families than within families, suggesting that PA aggregates in families (except work/school); (2) Subjects of the same generation tend to be more similar in their PA habits than subjects of different generations. (3) In all PA phenotypes studied, adjusted for the effects of multiple covariates, the proportion of phenotypic variance due to additive genetic factors ranged between 6% and 25%. In summary, there is substantial familial aggregation in PA, to which shared environmental factors appear to contribute somewhat more than shared genetic factors. This study was supported by the Portuguese Foundation of Science and Technology: SFRH/BD/20166/2004. S.A.G.E. 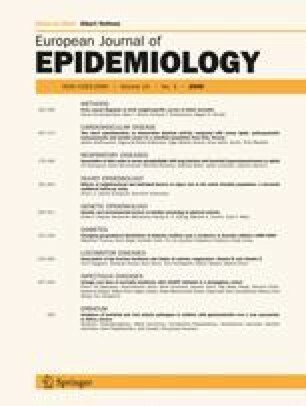 Statistical analysis for genetic epidemiology (http://www.darwin.cwru.edu/sage/) 2006.